The Fairy Penguins ARE the Cutest inhabitants of Phillip Island! 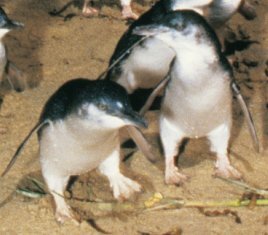 Of course everyone knows about the famous Fairy Penguins of Phillip Island! And rightly so because no matter how many times I have been to see the gorgeous little creatures making the epic journey from ocean to bushland, it always delights me! What can I say- go see for yourself! The Visitor Viewing platform where you can watch the little penguins swim in from the ocean and make their way back to their nests. The Fairy Penguins are not the only cute animals on Phillip Island! The Fairy Penguins are not the only attraction here though! 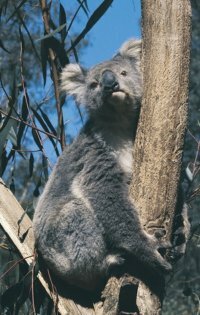 There are many areas for viewing other native animals on Phillip Island check some of them out too! There are seals on Seal Rock -there are hundreds of them. Take a boat trip, which can be booked at the Cowes Jetty, and enjoy the antics of the seals at play in their natural habitat. There is also a Koala habitat which can be booked at the Penguin Parade booking office. And there is not just the animals! Another terrific sight to behold is the Nobbies rock formations which are just off the Coast of Phillip Island. The best place to see them is from the great visitor centre and lookout. 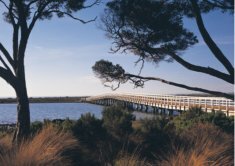 There are also many beautiful beaches on Phillip Island, some to note are Woolamai and Smiths beach if you are into the surf, or the more sedate Cowes and San Remo bay beaches, which are great fishing spots too. One of my favourite spots to catch on the way to Phillip Island is Kilkunda. It has awesome wide sandy surf beaches great for surf fishing and a quaint pub to stop for a refreshment! 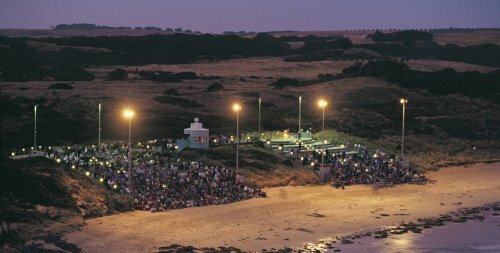 Don't forget if you are a sports fan Phillip Island hosts a number of Motor sports events including the Moto GP.